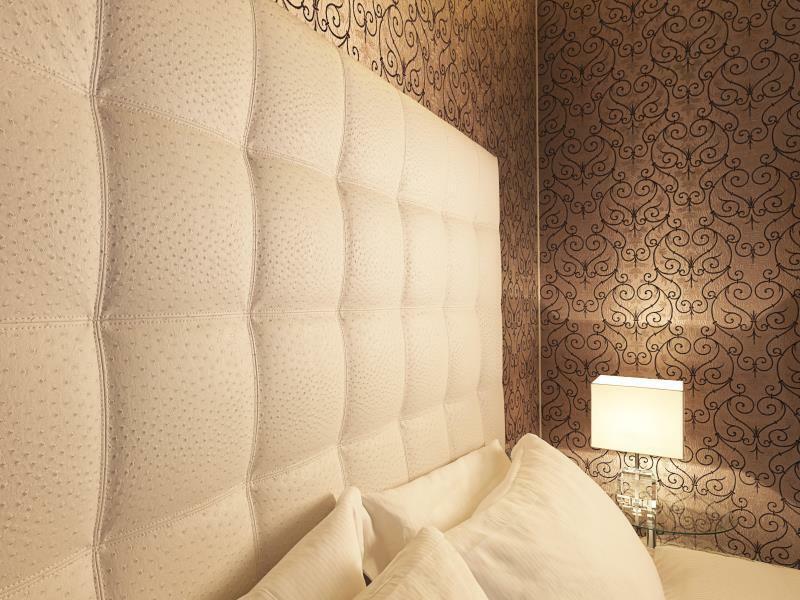 "Very pleasant stay, very comfortable room, wonderful staff,..."
Have a question for Spagna Royal Suite? "The room is clean, bright and we were upgraded to a big ones." "Lovely hotel, very clean quirky rooms." 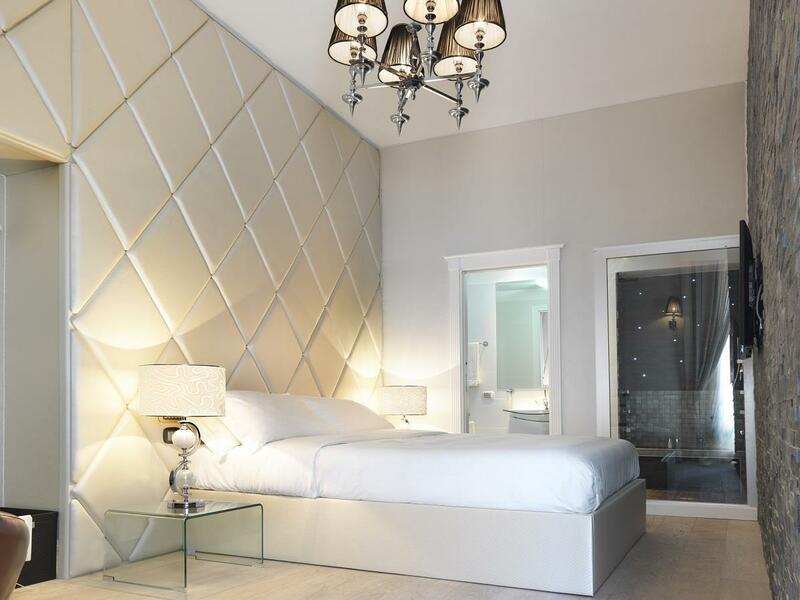 Each of the 11 rooms at Spagna Royal Suite have all the comforts and conveniences of home. 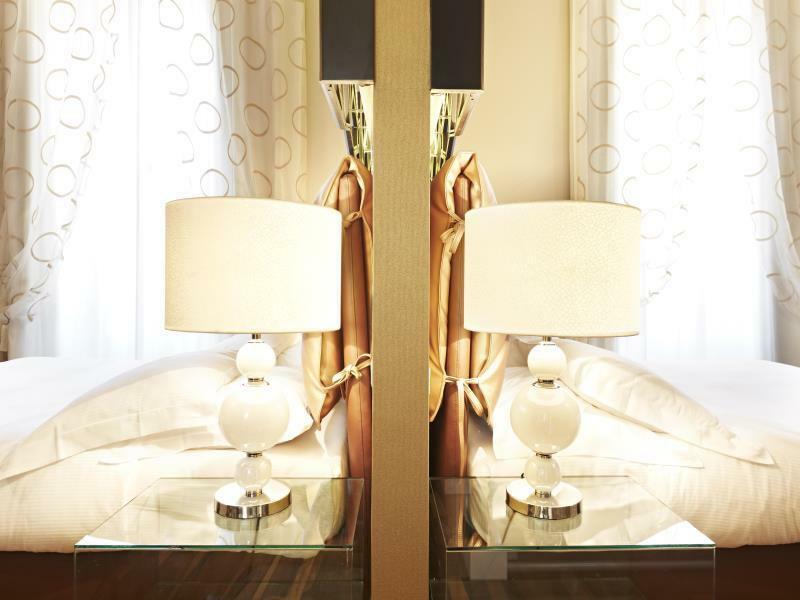 Every room in the hotel offers guests internet access – LAN, air conditioning, non smoking rooms. In addition, this property in Rome has 24-hour room service, family room, concierge, elevator and Wi-Fi without charge. 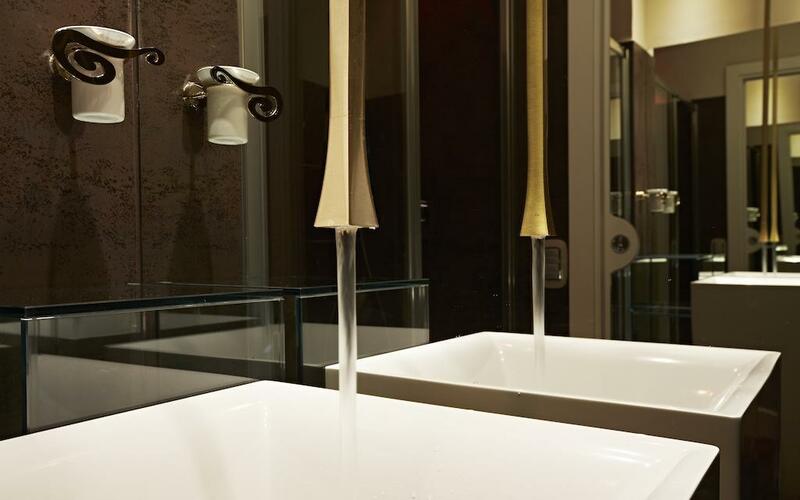 With its commitment to service and focus on hospitality, you'll enjoy your stay at Spagna Royal Suite. Our secure online booking form makes reserving your room at Spagna Royal Suite simple - just fill in your desired dates and click. Sauna is only available in Deluxe Double room type. Hot tub is only available in Junior Suite type. The Annex is in Piazza Barberini. Check-in takes place at the hotel and guests will have to walk (10 minutes) to the Annex. Gorgeous hotel, but weren't told that the hot tub was not working until arrival. considering the price paid i feel that there should have been a partial refund as this was the only reason we chose the annexe suite. Hotel Front Desk address is on website. (other address - around corner 2 min - is where you'll stay. Accommodating staff, large room. We asked for Standard Double and they were (US) Kings - Would definitely stay again. Hidden charges on arrival & had to pay extra ‘city taxes’ for our room for 3 nights. When I spoke to the manager to explain they were the only hotel to do this. At first she said this was standard throughout the whole of Europe. I did say this was not true at all as we had already been through 5 other countries prior, she then changed it to Italy only. This was also incorrect as we had stayed in Tuscany before Roma with no extra charges. Romona the manager spoke over me several times when trying to explain as well. The bed was rock hard. The room was that small we could not even open our suitcases anywhere aside from on the bed. We had to mop up a flood every time we had a shower as shower door did not seal properly. Good location but certainly not worth the bother or rude Manager. As a past hospitality Manager for over 15yrs I would not recommend this place to anyone. The location and breakfast are amazing, and the rooms are spacious. The staff were all polite, but forgetful regarding room tax payment and other things. It’s on the fourth floors and there is only one elevator, which is small and in use usually. Pack light! And be ready to go up four flights of stairs. Overall it’s a great place, if not for the amazing location, which is next to all the big sights. The breakfast as mentioned before is incredible, and the coffee was delicious. The room was spacious and well kept overall, the building is old, but it should be! It’s rome, it’s an amazing building, very mysterious. City is lovely. Great food and attractions. As the weather was very good for November we walked almost everywhere. The only downside was the taxi drivers who try to rip you off. That happened twice which spoiled things a bit. We rebooked into this hotel after loving our first visit. 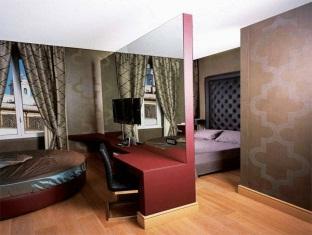 The beds in Hotel Spagna Royal Suite are wonderfully comfortable, the service is good and the rooms clean and quiet. We still loved our second visit but the bathroom needs a few repairs, the tiles are missing from the shower base and the tap is showing signs of wear. But once repaired any new visitors to the hotel Im sure will be happy. We were under the impression from the details that we were staying at the actual hotel listed and that we would be in a beautiful theme room at the property near Spanish steps , but when we arrived we were told we were staying away from the main property in the annex building. It was nice but not what we expected. So be careful and ask first which property you are staying in and ask for pictures of your room. Lovely hotel, very clean quirky rooms. Down side is the rooms are quite small and have very little storage.!! Breakfast was lovely despite small amount of choice Ideal location for exploring the beautiful city of Rome, would stay again. My wife and I recently spent a night at this fancy hotel*****, we loved the unique decor of the huge suite we got, master bedroom with master bathroom, living room, and small kitchen...Everything is top of the line...you won't be disappointed. The location is fabulous; It can't be any better, one block away from Piazza di Spagna, boutiques, restaurants... If you really want to have an Experience, book this hotel. We'll book it again! This was an overnight stop on the way back to the UK from working in Southern Italy. From the plane, to train, and then short taxi (could have walked - but didn't want to pull my case through the streets) what a perfect location to get out and walk to many of the main sites. Friendly staff, and lovely accommodation. Spagna's value is absolutely its location - right outside the door are all of the shops, restaurants and sites you want to see. Even in the middle of a busy summer weekend, the street itself didn't feel too touristy, though, and very safe. The front door isn't clearly marked so I did have to call to confirm that was the location, but that was the only small inconvenience. My room was spacious, clean, and had a cool shower + beautiful view of the street below. It is a touch aged, but nothing terrible. Staff was attentive and helpful. Nothing bad to say otherwise! Loved the location and the concept. Our bedroom was teeny but for one night worked. The bed was comfy, the shower huge. Staff super friendly. The name is a little misleading ( Royal Suite), or I didn't check the site carefully as the room was not a suite - it was a room. Breakfast was good. I'd recommend a stay here. This is our second time to stay in this amazing suite. Thanks a lot to Spagna Royal Suite that offered us an upgrade room to Royal Suite which have view directly to Piazza di Spagna. The room is big and very beautifull. The location is the best, just infront of Piazza di Spagna and all branded store. Thanks to the staff, they really taking care of you. Definetely will stay again in this hotel and will recommend to all our friends. Our stay was fantastic, the staff couldn’t do enough, the room was very comfortable but could benefit from tea and coffee making facilities. We will definitely be back. We highly enjoyed this hotel!! Traveled with my elderly parents and this hotel was in the perfect location and very beautiful! The breakfast has fresh to order custom omelettes besides all the delicious items! The staff was very helpful and accommodating to all of us! The hotel itself sits on a very quiet and perfect location just footsteps to the Spanish Steps, Trevi Fountain as well as the Pantheon and Piazza Novena. You are always greeted by the staff with such thoughtfulness! The hotel is elegantly decorated as well! 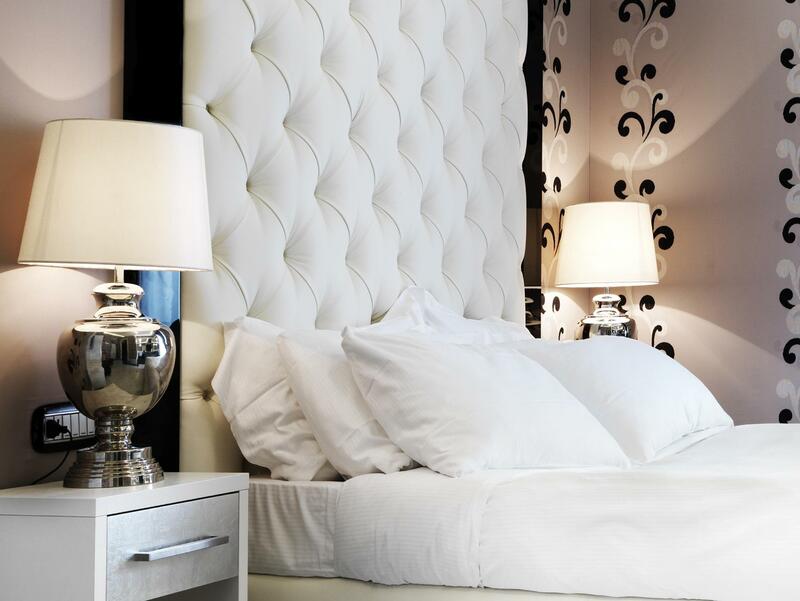 We recommend this hotel because the special prices are irresistible and the stay is perfecto! This is our third time staying st this hotel and will return again when in Rome! Room was a bit dated (rooms 102), not as fresh looking as the photos. I’m sure there are rooms in the annex that maybe like the rooms advertised so be sure to ask for those. Location is second to none. Staff very friendly. Had a great 4 day stay! Stayed in the family suite in annexe building. This was a 2 bed, 3 bath plus living room. So very spacious, bathrooms are basic. Good if you need space and are around 4 to 5 people. Bad, if you need services of a hotel. Since it is away from the main building, if you need anything, like a travel adapter it will take a while to get. Practical and good value for money, but not luxurious.